The RIVAL H2O boot is a fashionable, 100% waterproof touring boot, made of the finest textiles and leather. 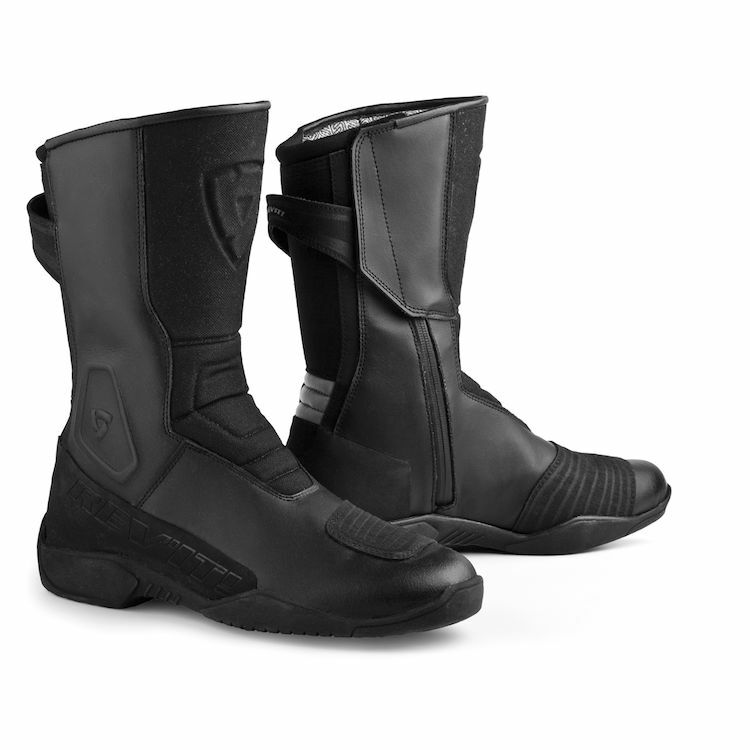 The boot is fitted with thermo formed shin, heel and toe plates for optimum protection. The dual compound sole is oil and petrol resistant and extremely comfortable both on and off the bike. The anatomically shaped foot bed and unique fitting shape make the RIVAL H2O boots one of the most comfortable touring boots to wear. I love Rev'it's style and quality. Their gear has outstanding form and function with great durability without sacrificing looks. Have had good luck with Rev'it products in the past. Thought they were water proof.....BUT they are NOT! Rev It is a very good brand, I needed protection for my feet. What is the height of this boot? BEST ANSWER: This boot is approximately 11" high from the bottom of the heel to the top. Is this boot mostly for cold weather riding or comfortable enough for summer? BEST ANSWER: The REV'IT! Rival H2O Boots are going to be hot in the summer months. They don't have the best ventilation for hot temperatures, especially if you ride in a lot of humidity. This boot will do much better in cooler weather riding and can be taken into the winter months with the proper socks / base layers.